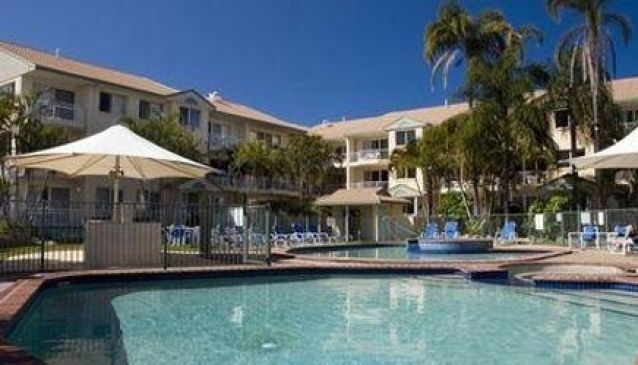 The Pelican Cove Resort is located at the northern end of the Gold Coast, in Broadwater at Biggera Waters. The resort features apartment accommodations close to water sports, beaches and other outdoor activities. The property consists of a three-level walk-up building, which forms a u-shape around gardens and swimming pools. The Brisbane airport is about an hour's drive from the resort.